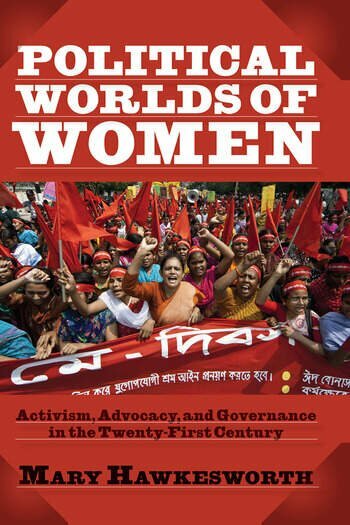 Political Worlds of Women provides a comprehensive overview of women's political activism, comparing formal and informal channels of power from official institutions of state to grassroots mobilizations and Internet campaigns. Illuminating the politics of identity enmeshed in local, national, and global gender orders, this book explores women's creation of new political spaces and innovative political strategies to secure full citizenship and equal access to political power. Incorporating case studies from Africa, Asia, Europe, and the Americas, Mary Hawkesworth analyzes critical issues such as immigration and citizenship, the politics of representation, sexual regulation, and gender mainstreaming in order to examine how women mobilize in this era of globalization. Political Worlds of Women deepens understandings of national and global citizenship and presents the formidable challenges facing racial and gender justice in the contemporary world. It is an essential resource for students and scholars of women's studies and gender politics.